Looking for movie tickets? Enter your location to see which movie theaters are playing America (2014) near you. America stands at a crossroads, and the way we understand our past will determine our future. 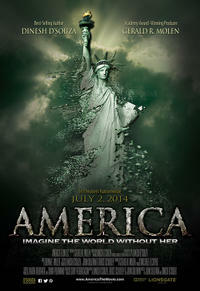 America the movie takes 21st-century Americans into the future by first visiting our past.